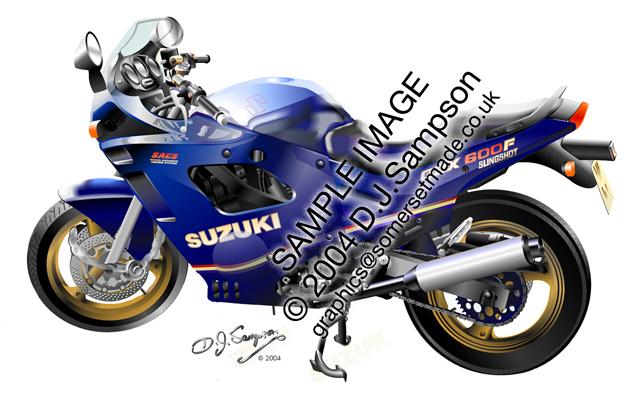 The Suzuki GSX600F is a stylish and quite powerful all round bike, with a look that is unmatchable. It looks fast - and apparently goes fast when given the chance. This picture was commissioned by the owner who lives locally to me, and so it was easy for me to take a set of my own photos to use as reference. The result is a picture which captures the style and power of the machine - and pleased the owner no end!